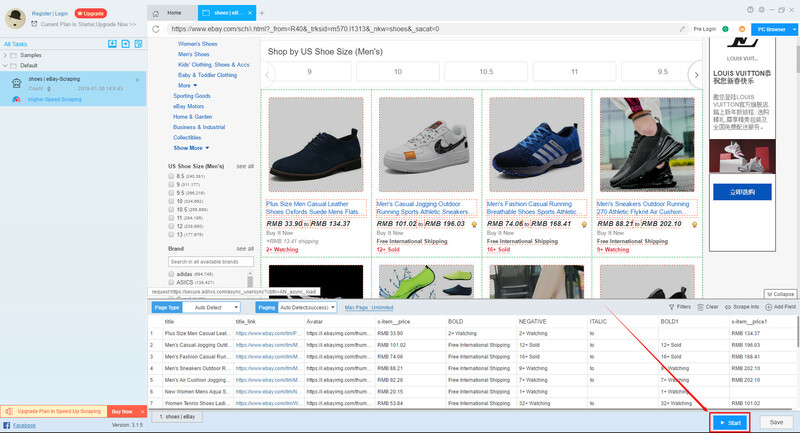 Smart Mode can automatically identify web data. After the recognition is completed, users can click Start to configure the task in the launch taskbar. 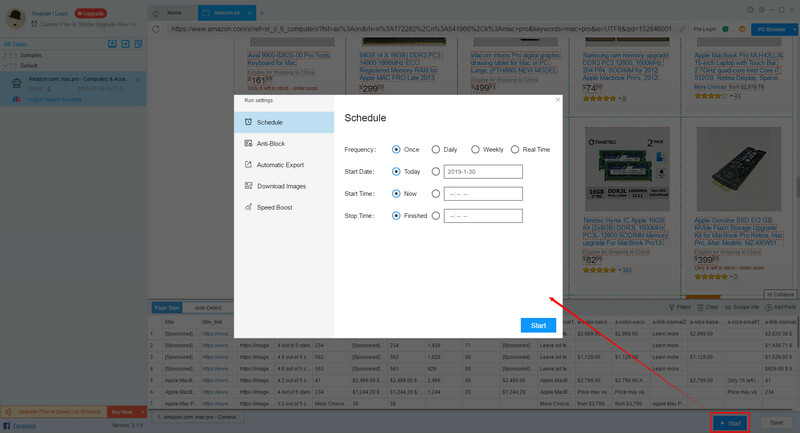 Click here to learn more about Schedule. Some pages are slow to open and sometimes affect the effect of extraction. Users can set a waiting time, which can effectively improve the quality of the extraction.The system default wait time is 1 second, and the user can modify it according to requirements. Some websites will mix valid data with invalid data, and invalid data is hidden data. Checking this option will solve the problem. P.S. If the websites does not use the above anti-scraping measure, the hidden valid data may not be scraped, please use it carefully. The page info of some websites needs to be scrolled to the page into position to display. Check the option to download the page info. P.S. Checking this option will affect the scrape speed. Please use it carefully. 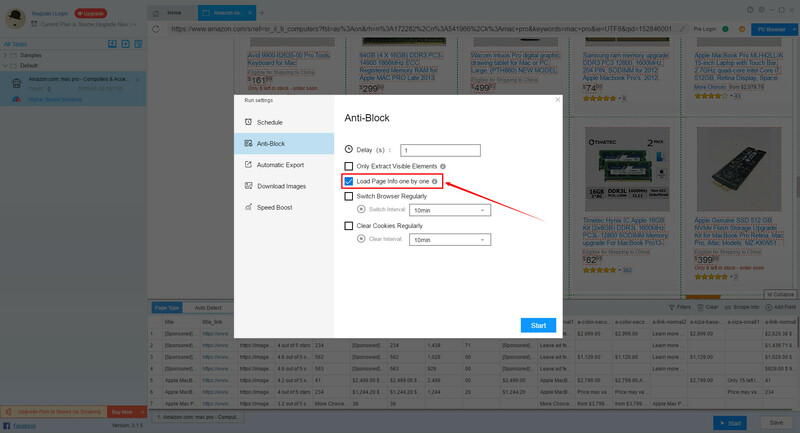 By setting the timing switch browser version, the anti-blocking effect can be achieved, and a switching cycle can be freely selected to switch the browser version. By setting the timing to clear the cookies, the anti-blocking effect can be achieved, and the cycle can be freely selected to clear the cookies. Click here to learn more about Automatic Export. Click here to learn more about Download Images. Click here to learn more about Speed Boost.